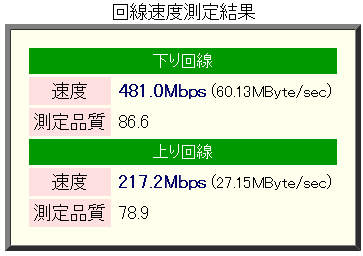 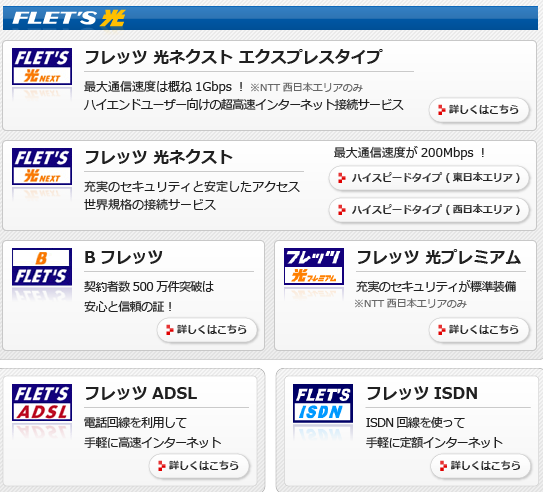 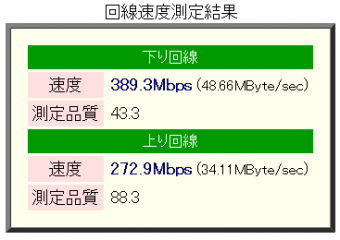 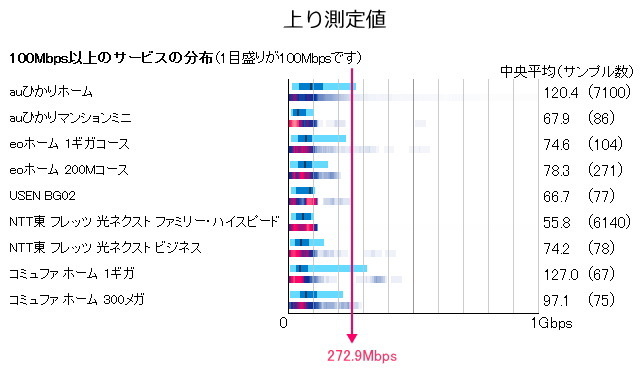 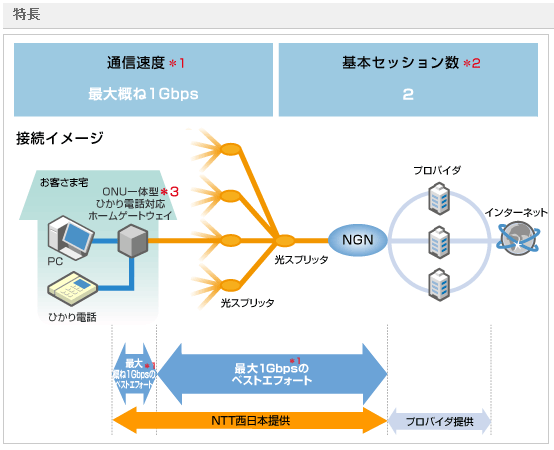 “FLET’S Hikari NEXT” Family Express Type and “FLET’S Hikari NEXT” Mansion Express Type offer shared-bandwidth services, which provide a fiber optic connection with speeds up to 1Gbps (1,000Mbps) from a local NTT WEST office to subscribers’ homes/offices. 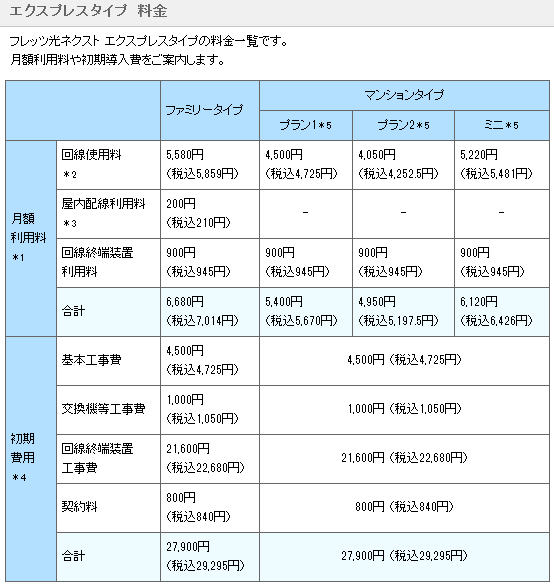 Limited to NTT WEST area Only “FLET’S Hikari NEXT” Express Type Plan. 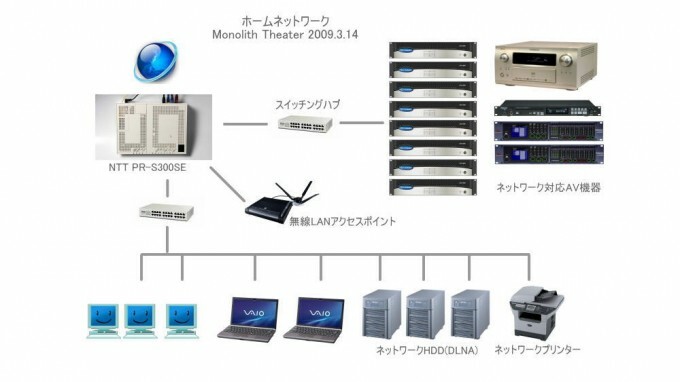 Easily share your connection with multiple computers. 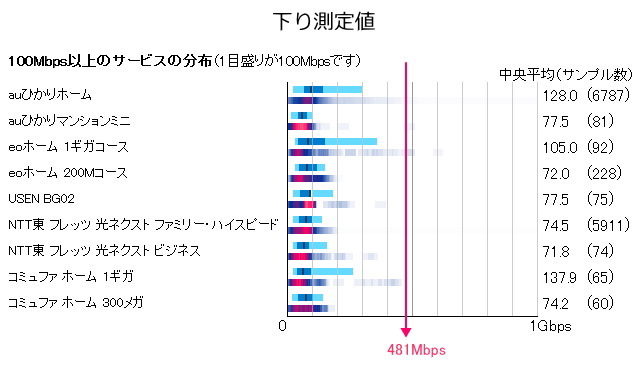 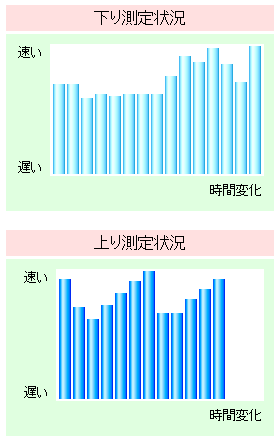 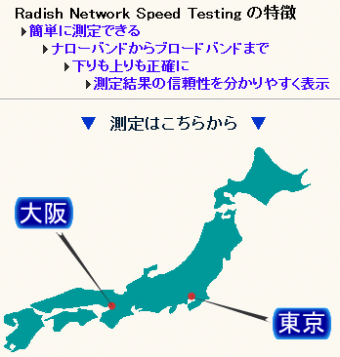 “Hikari” Internet Connection Service Recommended for Hi-end Users.